"I'm only drinking for medical reasons!" 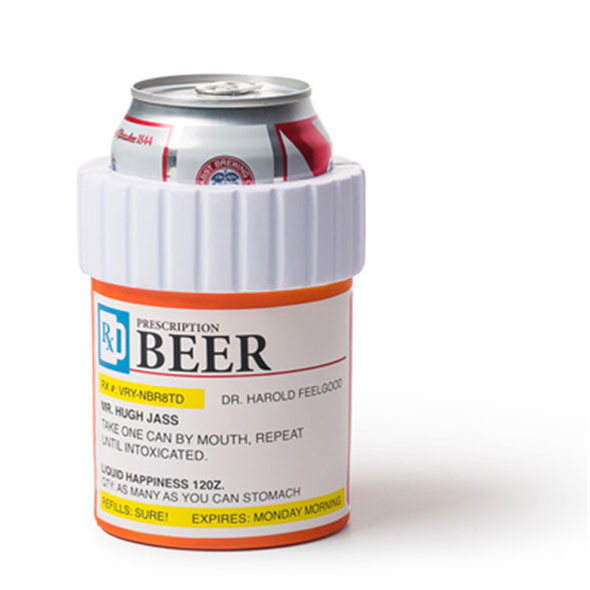 This brilliant beer koozie comes with an authentic-looking prescription label that will fool everyone. Oh, and it will keep your beer nice and cool in the meantime! TAKE ONE CAN BY MOUTH, REPEAT UNTIL INTOXICATED. "Hey, maybe I'll crack open a beer!" You swivel around, steadying yourself on a nearby lamp. "How dare you suggest that I'm some kind of pitiable alcoholic?!" you bellow at your friend, pointing in roughly the direction of their face. 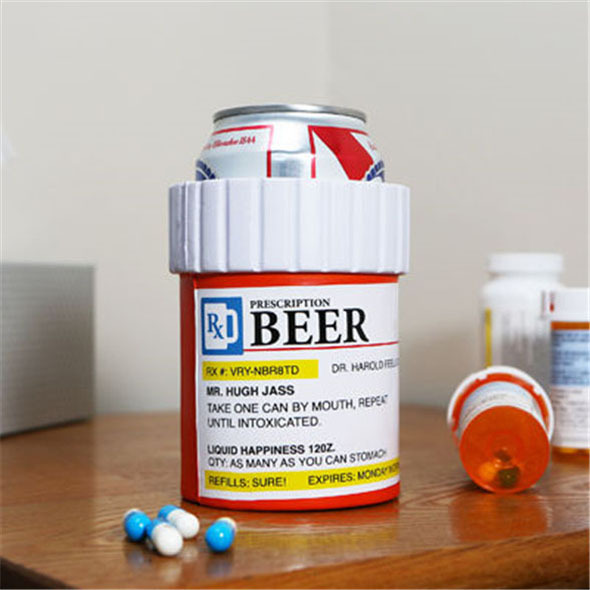 "This beer was prescribed to me by a doctor!" ...and apolgises profusely, leaving you to enjoy the party. "Brilliant," you think, taking a sip. "And my beer is nice and cool, too!" 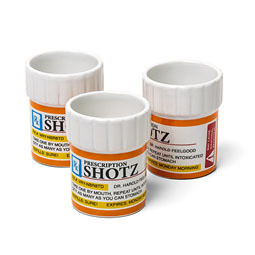 WARNING: YOU CAN HAVE TOO MUCH MEDICINE! Always drink responsibly, and keep away from children!